StencilGirl and Ken Oliver hop! You can see my first project HERE. I decided for my second post to try using Masking Fluid with Ken Oliver's Color Burst. Why not start out with a stencil? I used the Vintage Typewriter and Jumbo Vintage Typewriter designed by Carolyn Dube. 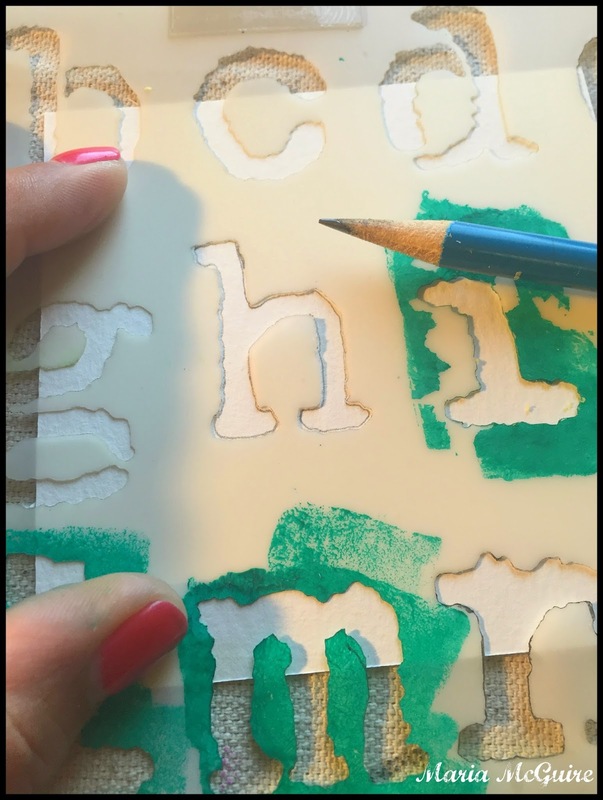 I started by tracing letters onto the Ranger Watercolor paper and then filling them in with the Masking Fluid. 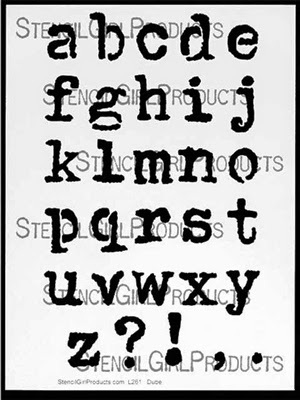 Remember...the stencil is just a guide--no need to be perfect! The masking fluid dried quicker than you would think so it was right up my alley! When I was done, I wet the paper and I mixed up some Color Burst. It doesn't take much to get amazing vidid color! Here is what it looked like after I put the color on with the Masking Fluid in place. Here is what they looked like after dry. To remove the Masking Fluid you just rub it with your finger. I then erased any pencil marks that were still visible. But what to do with them.......hummmm....a card! That's it! Since I am begging for Spring to come, I thought a Pop-up Spring card was appropriate. You can see other's I have made HERE and HERE. 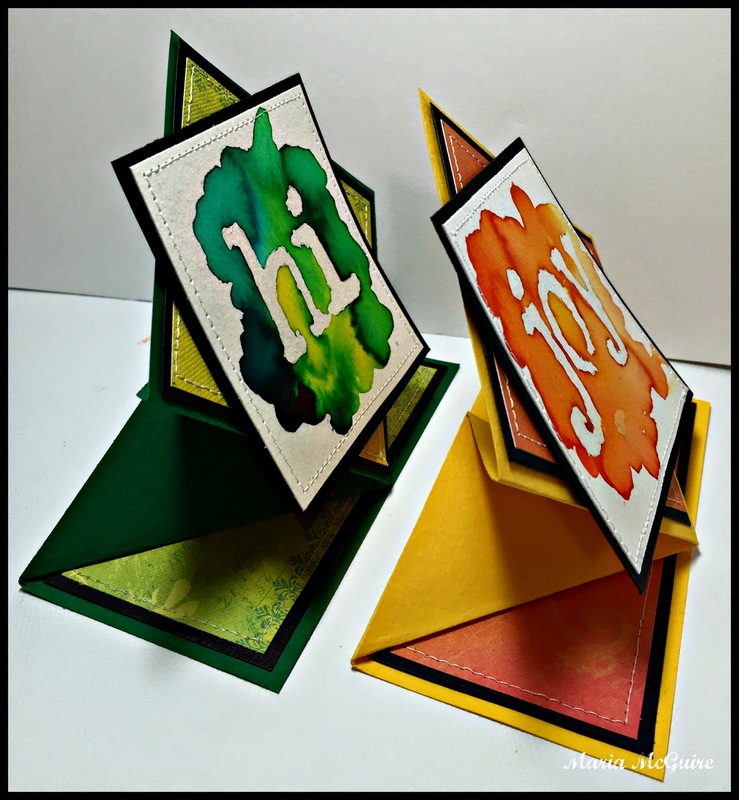 One of my favorite card shapes :) Just Google "spring card" and you will get tons of ways to make one. And my favorite thing about this card is that it folds flat to mail!!!!! So what do I LOVE best about the Color Bursts.....I think these are the PERFECT travel art supply. So lightweight, no liquid and instant color when you are ready. My mind is reeling with other ideas to use them....I have one more ready now, but that will have to wait until Monday after the hop is over. See you back here then, but before you leave make sure to leave a comment (hopefully about my project) to be entered to win the StencilGirl GIVEAWAY! Thank's Ken for letting my play with your new toys!!!!! 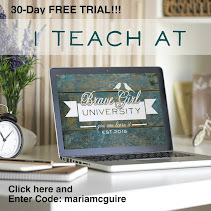 Make sure you stop by the other blogs on the hop today!! 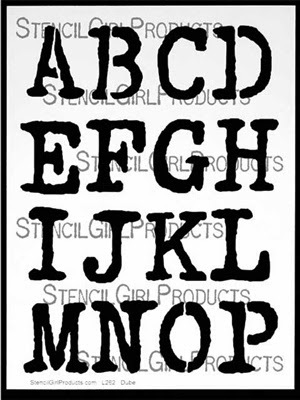 and visit the StencilGirl website HERE. 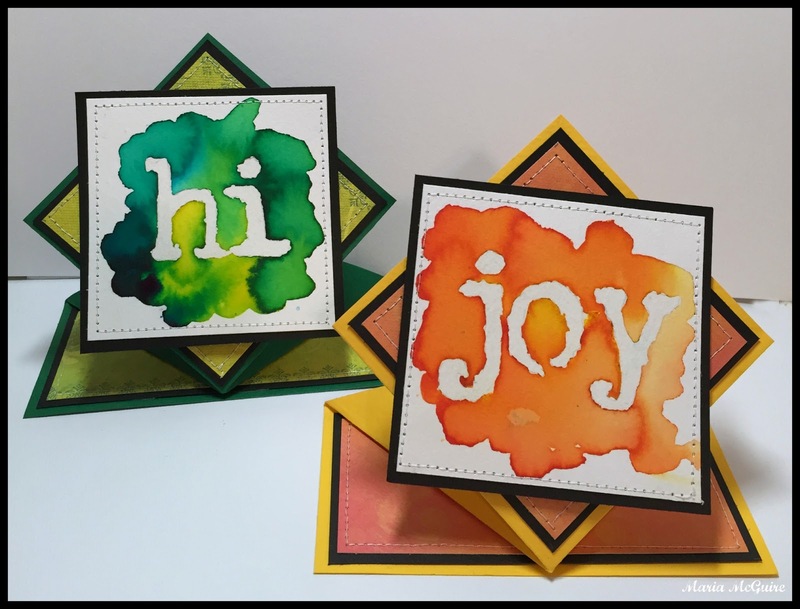 It's a week long blog hop of Color Bursts! Prizes and inspiration await! Each team has fantastic giveaways. Leave a comment on each StencilGirl Talk post and our team members posts to be entered to win a $50 gift certificate from StencilGirl! Then head over to blogs on Ken's Team to find out about their prizes! StencilGirl GIVEAWAY closes at 11:59PM Central Time on Sunday, March 29th. 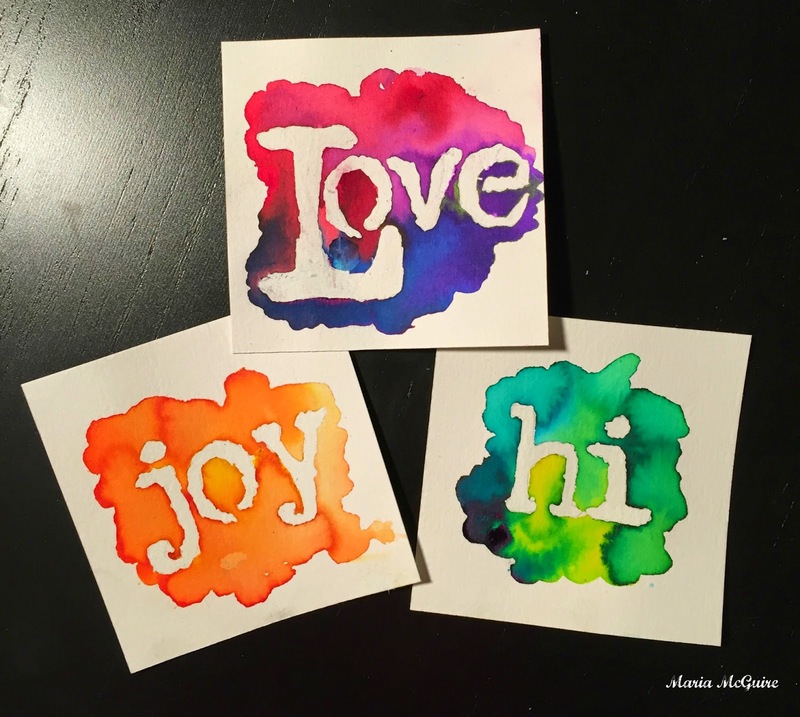 Love, love your cards and really like the technique with the stencil & masking fluid!!! Hi, love what you've done. I need a banner and I think I can make it based on your inspiration. I am looking forward to Monday to see what else you do. love all of this, great colors, great card. love the masking fluid effect. thanks for the instructions. What a wonderful way to use the color bursts. Since my name is Joy, I am pretty much going to copy this idea, Maria! Thanks for the inspiration. I love this look! 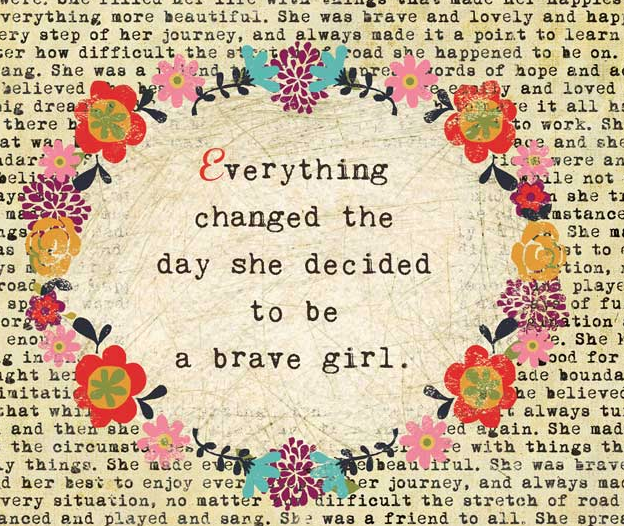 Thank you so much for your inspiration this week! I can't wait for more play time to try some of these techniques myself! Wow! This gives quite an impact on the card with those beautiful vivid colors! I'm new to the Color Burst and & Masking Fluid, but may have to put this into my arsenel of goodies. I am a stencil fanatic - so these items would be used in my mixed media work. Love the Bold Colored Cards....Well Done. Wow!! These look amazing! The white of the letters against the vivid colors is really stunning. I've never tried masking fluid but I sure want to give it a whirl now. 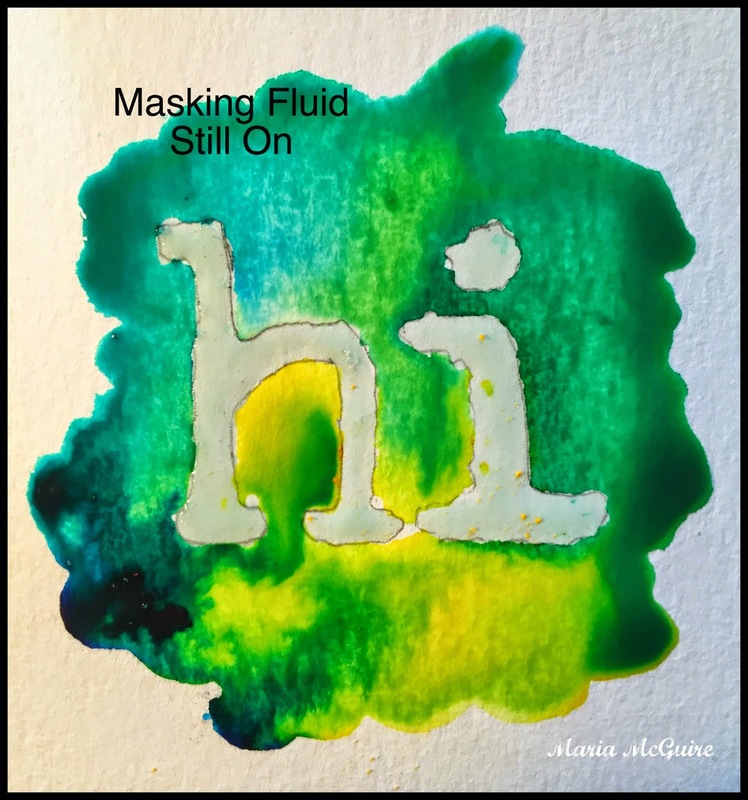 OK - never knew about masking fluid! LOL! That's great..another item for my list! HA! LOVE that you created cards and so SPRING~Y (esp. today when it SNOWED yet again!)!! Now I need to go make some cards these are adorable! Thanks! I haven't done any masking in years but I'm going to have to get back to it. Love the cards. The colors are great and it's a fun technique. Wow- wonderful cards! I love how you did them. 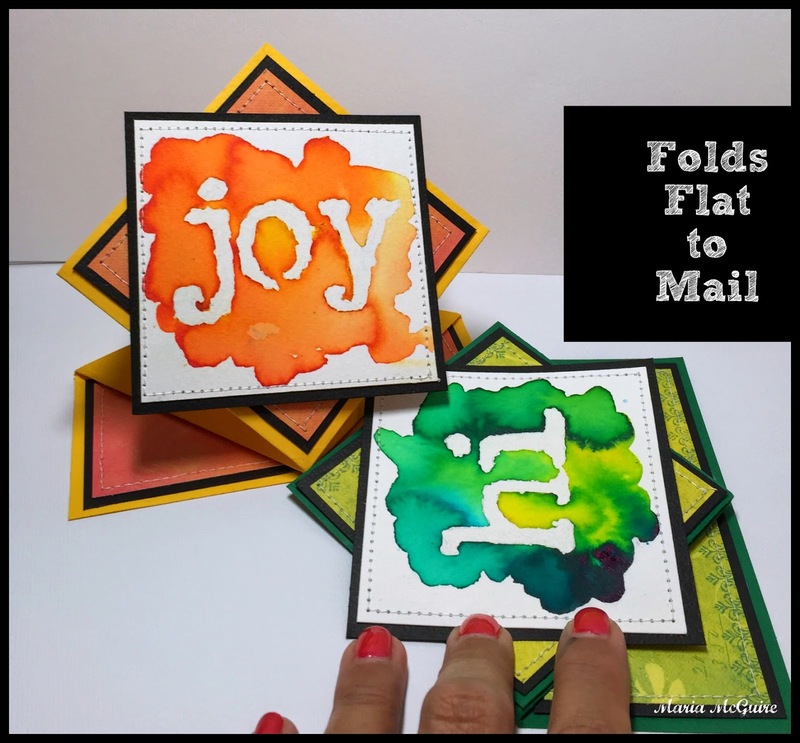 Beautiful and fun cards!! Love the tip to use masking fluid in a fine liner... it looks so much better than trying to paint it on. What amazing pops of color! Love the techniques used also! Thank you for sharing with us hoppers/shoppers today! OMG! I love these cards! Using the masking fluid is brilliant! Very cool, Maria! I just happen to have several bottles of masking fluid...and I LOVE the sprinug card. Oh how cool, Maria? The cards came out great. Hey! 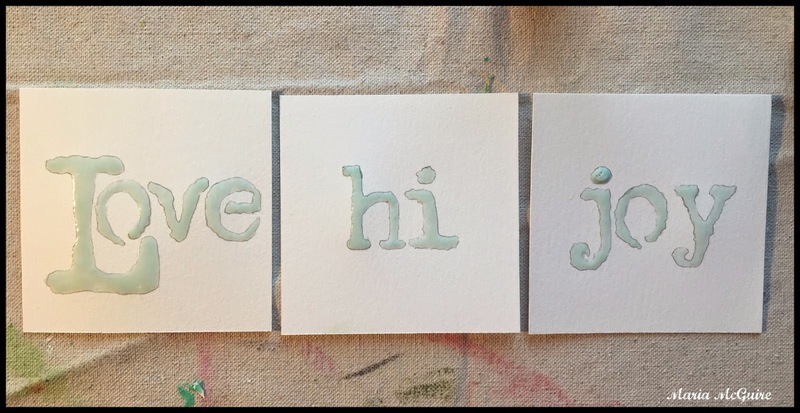 I have letter stencils...and masking fluid..woohoo! Oops, forgot to leave my email...mannwielermaggie(at)gmail(dot)com Thanks!! WOWZERS! what a wonderful technique Maria!!! I have masking fluid--ask me if I've used it yet--haha not yet but now I really really want to try your technique! I NEED Color Bursts!! Oh yea...I have stencils. I have masking fluid. I make greeting cards...just need Color Bursts! Yep - got to have the Color Bursts, and some stencils, and now masking fluid! Thanks for sharing your technique! Atta girl...get back to your paper crafting roots. I love the way you utilized your various skills to again create something wonderful and useful. Worked beautifully! What an awesome idea! Your cards are great. And, you've given me another technique to try with the color bursts. This blog hop has been lots of fun! A great idea and beautiful artwork! like the use of masking fluid. Great work! I have Color Burst now I need Stencil Girl Stencils. Thank you introducing me to them. Awesome set of cards!!! Love them all!!! Thank you for the inspiration! Love these color bursts, gotta have 'email! Great ideas. I really enjoy both ideas. Now to win and start playing. Color Bursts really do seem like they'd be the perfect pigment for traveling. Colorburst is such an amazing product, and you've really shown how we can all use it and get great results. Thank you so much for sharing this technique. this is so neat. 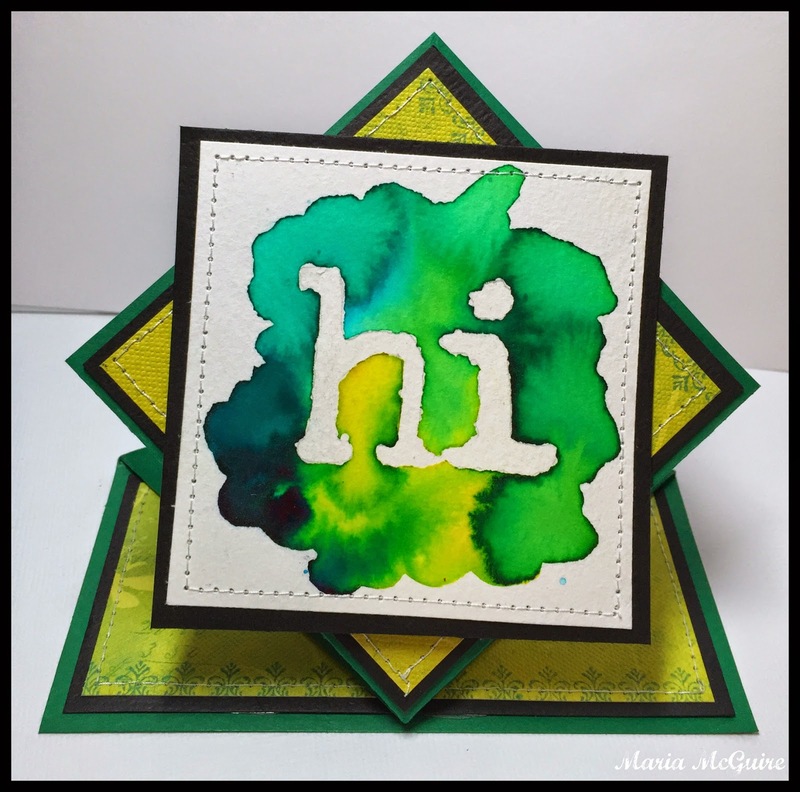 I love your projects using the color burst and the mask fluid. Wonderful idea. great use of color-and masking fluid! Almost too much to absorb, but can't wait to try them. Thanks to all the artists who contributed! great idea..love the fabulous colors! thanks for sharing your art! 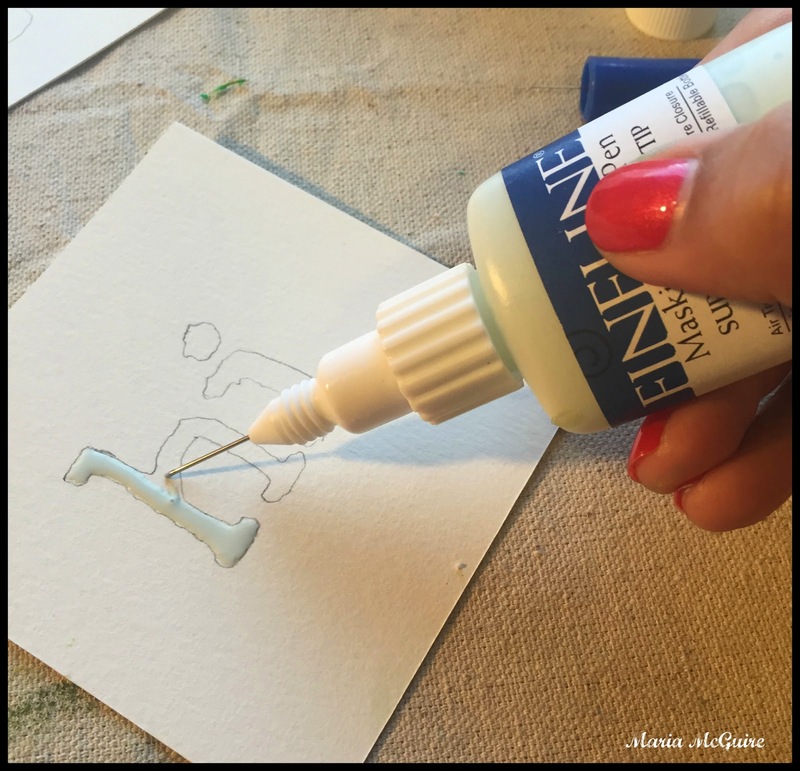 I always forget about masking fluid -- using it with a stencil is brilliant! These cards are amazing!!! Love the colors and the use of masking fluid. Very creative. I pinned this one right away Thanks for sharing! Love that you turned it into a pop up card. Here's hoping it will make Spring spring! Great job. I love the spring card fold you used. I had never seen these before. Thanks for sharing your masking technique. Great effect. Great idea! Have to give this a try. This is SUCH a fantastic idea! Love your cards. 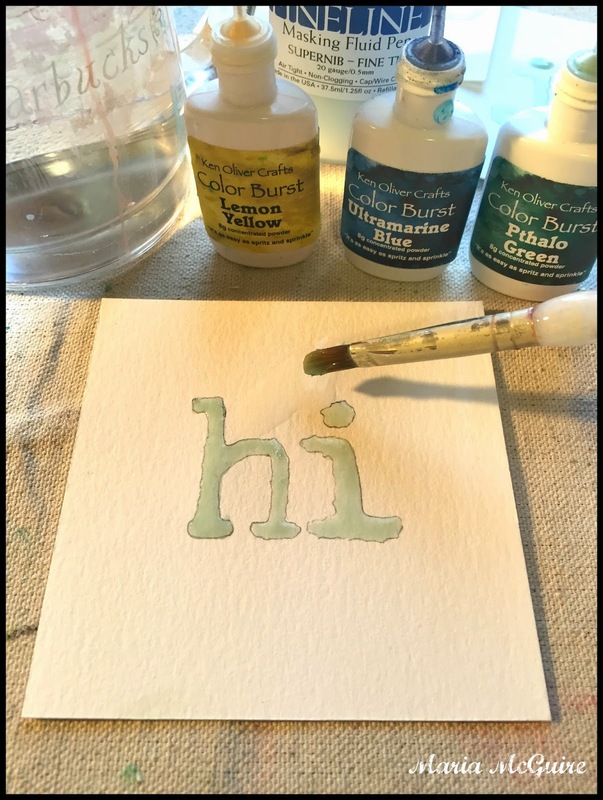 I have some Frisket and some other masking fluid sitting around - I'm going to have to try this! 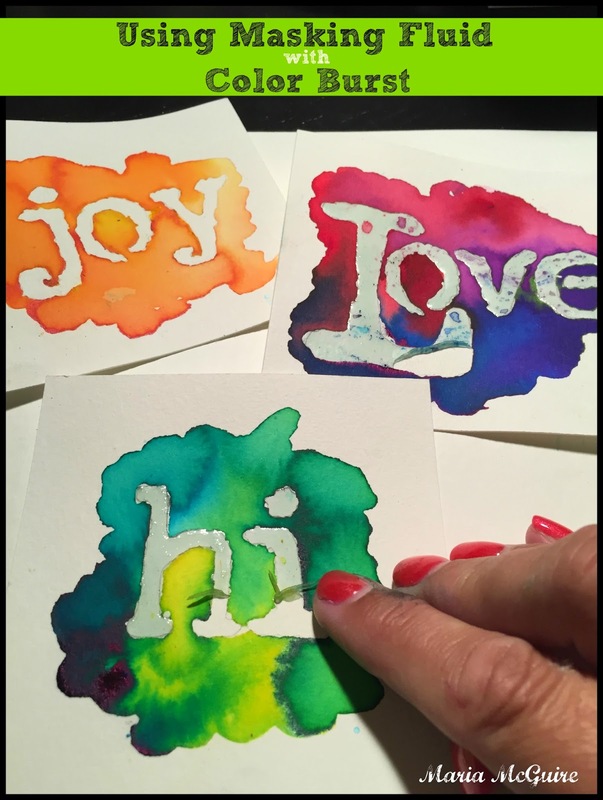 oooooh, I have to get my hands on some masking fluid, and Color Bursts! Where have these been all my life??? !